For the past several years, the shopper marketing conversation has been all about how brands can collect, manage and apply data to better connect with consumers. While this focus has worked to increase shopper insights, it has also prompted many companies to prioritize data quantity over quality. At the 2018 Path to Purchase Expo, Jeff Daniel, VP of Media and Analytics at Upshot Agency, and Kim McGough, Sr. Manager of Shopper Marketing & Consumer Promotions at Johnson & Johnson, shared with us how they enhanced the value of their shopper insights in order to to connect with consumers in more meaningful and organic ways. It can be easy to look at consumers when they’re segmented into groups, but even with correct segmentation, each consumer has their own attitudes, media consumption habits and daily routines and experiences. To understand the best way to connect a consumer to a product, brands must understand not just the media consumption habits of their shoppers, but their daily life habits, which hold tremendous influence over mindset. Utilizing “A Typical Day” tool, brands can maps out an individual’s day-to-activities, from when they engage with a specific media platform to when they are working versus playing. This day-in-the -life mapping can be used to create individualized profiles that bring context to consumer behavior and attitude. For example, “A Typical Day” tool can reveal that a mother scrolls Instagram and listens to NPR in the morning, but in the evening, watches The Food Network and browses Cafe Mom. Having an understanding of her daily activities gives brands the opportunity to place targeted ads within these media sources at the times when is she most open to receiving messages for a particular product or most prone to needing a specific solution. Know an individual’s routine, and you can understand the most influential moments and connection points for reaching them. Brands may look at household and demographic data to understand their consumers, but culture is emerging as a new data category brands need to pay attention to. While American culture is shaped by a variety of factors, no factor has become more influential than social media over recent years. Hashtags and Facebook groups have created communities brands have never seen before, with word of mouth taking on an entirely new meaning and activism mobilizing in digital form. That is why, when McGough of Johnson & Johnson refers to “Culture,” she is referring to the trends and sentiments emerging across social media that shape consumer attitudes and behavior, particularly of Millennial and Gen Z demographics. One example of a cultural trend that took shape through social media is the development of a twist on Valentine’s Day, called “Galentine’s Day.” Social media evolved the holiday into an occasion not just to be celebrated by lovebirds, but by women who value the love and support of their girlfriends. Through the creation of a hashtag and the promotion of influencers, “Galentine’s Day” rapidly rose in popularity and opened a new market for products to be pushed towards women wanting to celebrate with their gal pals. Tazo Tea took the emerging trend and paired up with Greetabl, a creative gift box service, to connect their goal of getting tea drinkers to try new flavors with the opportunity to have women treat a friend for Galentine’s Day. Understanding new trends and movements through social listening of online communities is an extremely effective way brands can intertwine their products into consumers’ lives and deepen connection. By uniting the insights gleaned from social listening with daily habits, brands can create powerful 1:1 marketing, but the speakers explained that these insights are most effective when used to introduce a new concept or deliver an experience that’s never been encountered before. This strategy is the farthest from easy, but it’s been found that the most innovative shopper marketing programs come from collaborative retail-supplier partnerships that combine the insights of the two to create a campaign that connects consumers to a new product or new way to shop. Uber is a prime example of leveraging partnership and technology to innovate the brand experience. The company teamed up with Cargo, a startup that allows ridesharing drivers to sell consumer goods to their passengers, including snacks and headphones. By strapping the box of goods to their center console, riders can easily scan the displayed QR code to access the menu and pay for items within the Uber app – providing additional service value to the consumer and extra earnings to the driver. By uniting “Day-in-the-Life” and “What-They’re-Saying” insights with innovative technology applications, from augmented reality to voice assistants, brands can connect consumers to product solutions in unexpected ways that are seamlessly integrated into one’s natural setting. While each of these strategies are strong on their own, the marketers able to merge the effectiveness of more than one will drive the most significant market growth. Johnson & Johnson is a shining example of this, as they were able to creatively unite the insights of “Day in the Life” with an “Innovation” in order to promote their Tylenol Rapid Release Gels (RRG) at Walgreens. The goal? Make Walgreens the ultimate destination for pain relief and Tylenol RRG the pain reliever of choice. 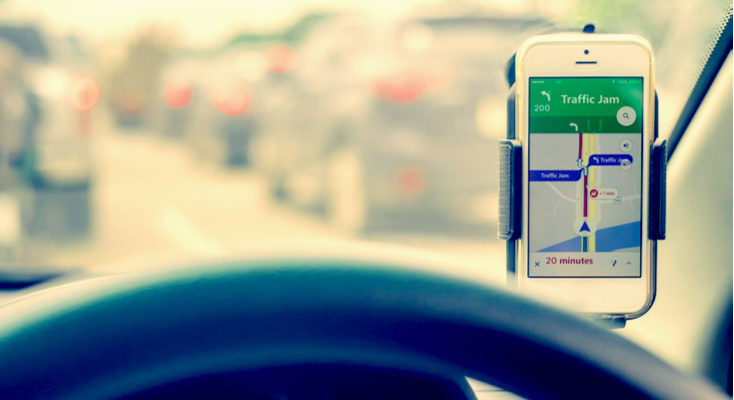 Through the efforts of agency partner Upshot, Johnson & Johnson formed an unlikely partnership with Waze traffic and navigation app. The idea was to target customers during a day-to-day moment when they would have the greatest likelihood of needing an RRG Tylenol, namely, being stuck in a traffic jam! The campaign displayed ads via the Waze navigation app for those stuck in traffic, guiding the consumer out of the traffic and to their nearest Walgreens for Tylenol pain relief. Once in the store, point-of-purchase displays promoted the product, with 15-second video spots personalized to each Walgreen retailer. This is a strong example of uniting a Day in the Life insight with an Innovation, with the Day in the Life insight being the understanding of an individual being stressed and uncomfortable while stuck in traffic, and the Innovation being the delivery of a solution through an unconventional channel. The app ad reached 25 million shoppers across five key markets within the first month, resulting in both category growth and Tylenol share growth at Walgreens. The focus on big data has caused some shopper teams to become computerized in the way they view consumers and develop marketing, but by using Johnson & Johnson’s outlined tools, we can can begin to move away from linear thinking and toward an approach that brings the missing middle — context and connection, back into the picture.